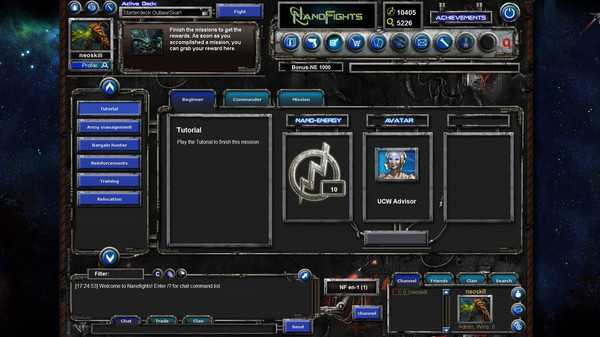 Nanofights is an “Online Trading Card Game”, made for fast gameplay. Build your individual deck out of four completely different factions and over 300 cards and fight against the computer or other players. Every faction has many different creatures, buildings, towers and support cards and allows any deck to have its own strategies and strengths. Take control of the Nanofights Universe and make your way into battle with four different factions! 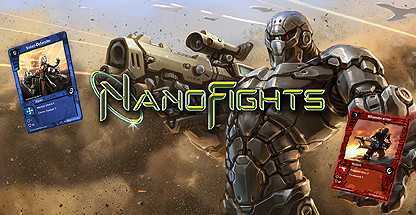 Battle other players in thrilling battles within the Nanofights Universe! Newsboard, Training Mode with Missions and Training Games (where you can test your deck and skills), Achievements, Marketplace to buy boosters, or trade with other players, Deckbuild (to build your decks, save different versions and fight against your opponents), Multiplayer (one vs one), Message & inGame Chat System, Rankings…and lot more cool stuff! 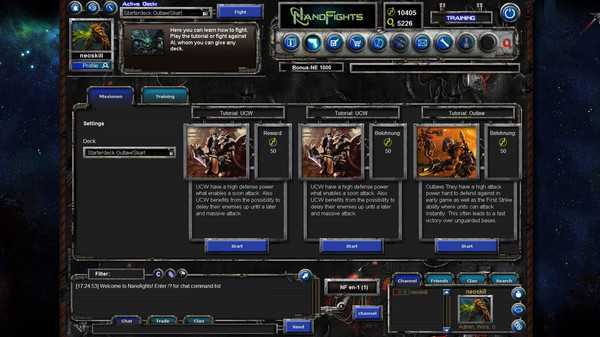 Nanofights is an “Online Trading Card Game”, made for fast gameplay. 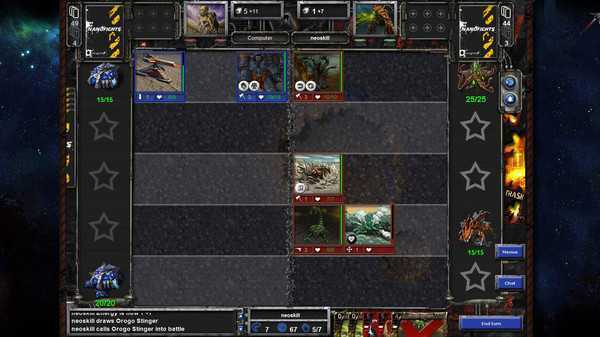 Build your individual deck out of four completely different factions and over 300 cards and fight against the computer or other players. As a person that loves online trading card games, I was interesting right off the bat by Nanofights and the stuff that it has to offer, I found it to bring in front quite a lot of potential and that on its own was more than enough for me to give it a fair shot. 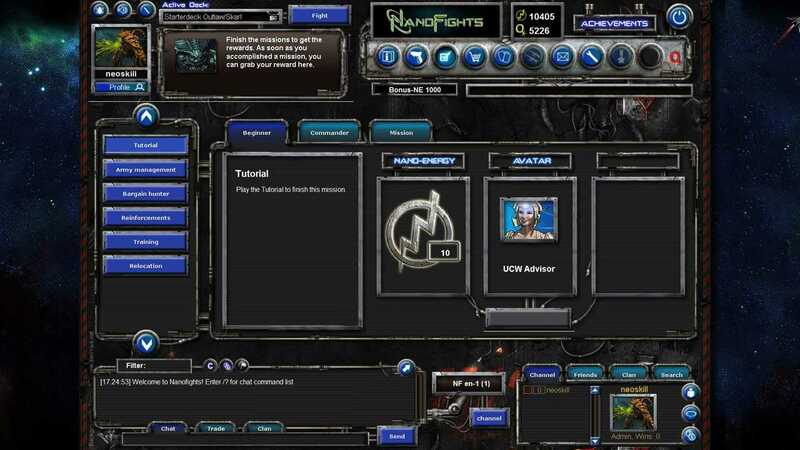 Nanofights is your standard online card battler, as it does seem very familiar right from the start with the way it creates the entire game world and the good mechanics that it offers, all combined in a really good suit. Creating your own deck of cards and using them to fight the AI or other persons online is very important, and such a thing on its own manages to bring in front impressive value. The developers integrated no less than 300 different cards in the game and you can clearly see the difference as well as the amazing results that this offers for its audience. The battles on their own are great, since this is indeed a battle of skills and ideas, which means that you are not careful or you’re not using the best strategies, then the results won’t be as good as expected. There are plenty of situations in which you will end up fighting for your life, and that on its own offers tons of cool potential, which is indeed fulfilled by the game’s many battles and interesting enemies. It’s important to note that you have quite a lot of training games to get you up to speed with Nanofights and its mechanics, but at the same time the title does tend to implement some great missions that are designed with high quality and professionalism in mind. The ability to create your own decks and expand on them in order to get the best experience is what matters the most in this game, and the more you play the better the outcome will actually be, you can rest assured of that. Fighting people online is the best way to play this game, and even if the game population isn’t exactly large, you can fight your friends online and try out many strategies in order to win properly, which is what matters the most. The integrated marketplace, boosters and achievements add up in order to offer a great set of results as a whole, and that on its own makes the entire experience so fun, as you will never fight the same battle! I have to say that Nanofights doesn’t have the best graphics out there, as the card design and the backgrounds feel a little bland sometimes, but this is not a major problem, as these issues are covered by the great gameplay and the stunning appeal that the title brings in front all the time. Sounds are good in this game and the music is immersive, which impressed me a lot. Nanofights does a great job in offering us a unique, fun card battler and that alone manages to bring in front amazing value. It’s a really good game, one that allows you to immerse yourself into the world and engage into massive battles, so if you are interesting in this type of games, you should totally give it a shot, it’s really good and fun!